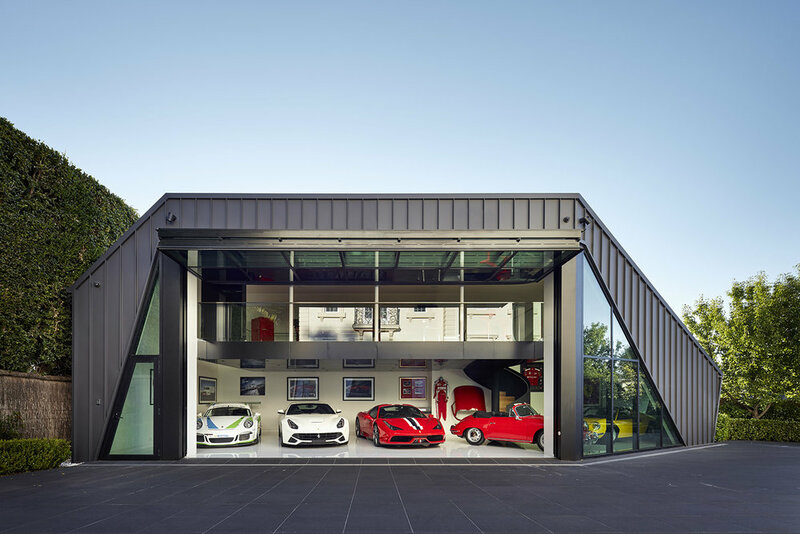 The design philosophy was more akin to a museum than a garage, taking cues from race car design and function as an ‘aircraft hangar’. 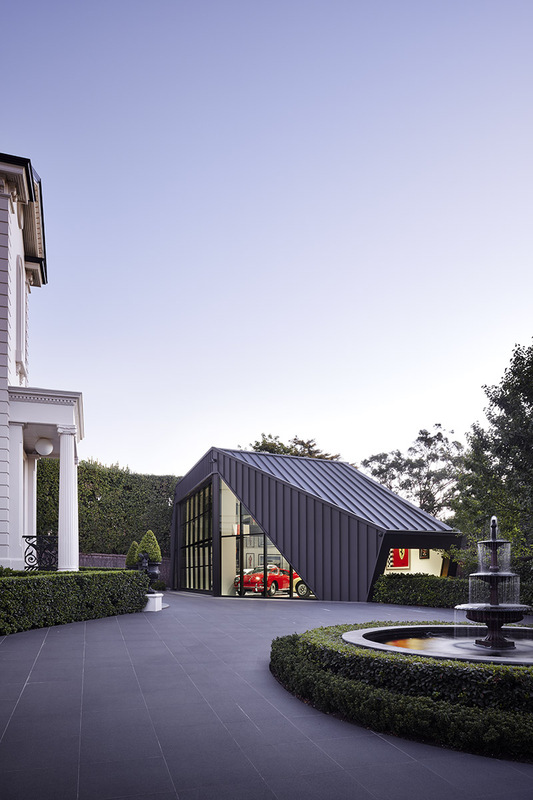 With a restricted planning envelope, the design concept was inspired by a stealth bomber jet, black and triangular in our case for deflecting the visual mass. 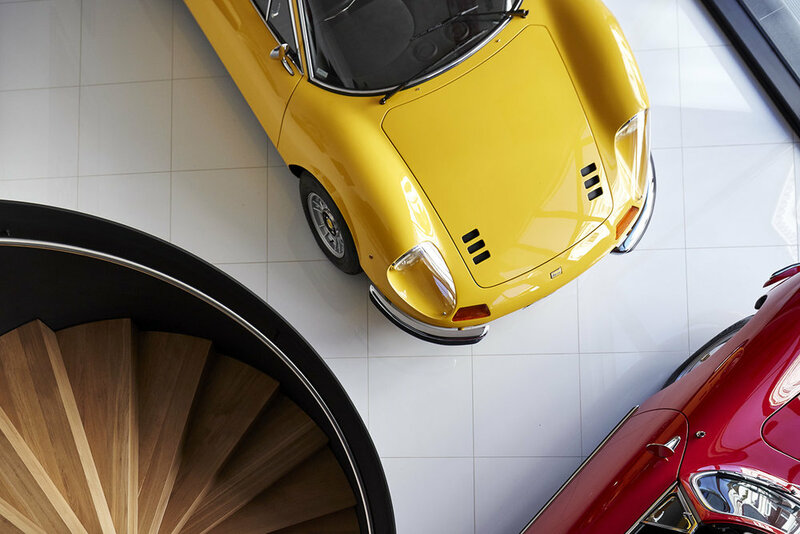 The diminishing ‘open nose cone’ reminiscent of a formula one race car houses a sixties Dino GT Ferrari in a double height space. 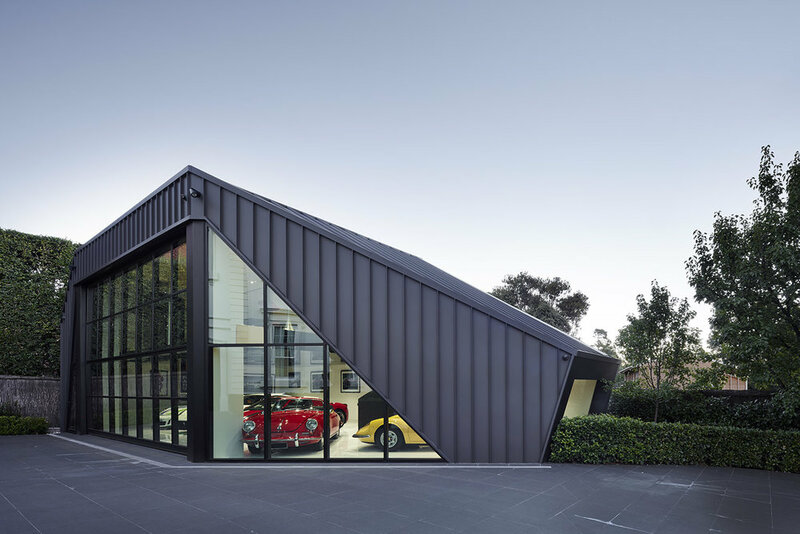 Internally it was designed as a single white volume 'hangar' to highlight the car colours. A piston-like custom steel spiral stair accesses the mezzanine games room, which is free from all walls. 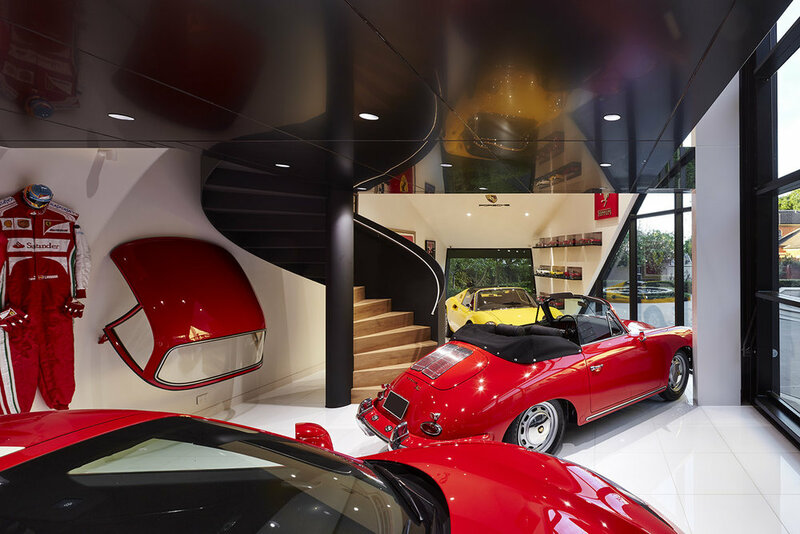 The mezzanine suspended from the ceiling provides a column-free interior for car circulation and display. 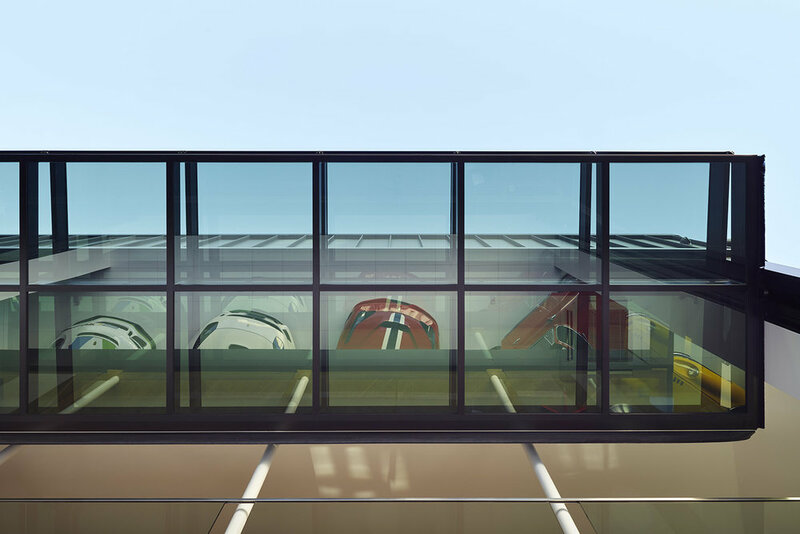 The underside is gloss black to create a more ambient space and reflect the cars below.